*As of August 7th, 2016, the day this was posted, Kojima Mayumi, and possibly Nagasawa Marina and Sekine Sasara, were promoted to the Regular Lineup. With Houkago Princesses 5th Anniversary happening this very month, as well as the first anniversary of their major debut, I thought it wise to create a small series of posts commemorating this beautiful groups latest accomplishment. Following the Introduction Post for the Regular lineup that makes up Houkago Princess, it is now time to introduce the newest group under the Princess name, HoupriYusu, otherwise known as HouPri Youth. If you would like to know more about this Model Generation, then stay tuned, and take some notes! You can find the Regular Member Profiles HERE, if you have not yet read it! Introduced on February 18th 2015, Houpriyusu (or, HouPri Youth) became the official younger sister unit to Houkago Princess, and would house the Apprentices and Cadets who aspired to become Regular members. Whilst the members themselves do not release any singles, the group holds regular live performances to grow their fanbase, whilst also performing alongside Houkago Princess as background dancers, and sometimes vocals, as well. The members are also given the chance to fill in for members who might have suspended their activities, or are ill and can not perform. Currently, all members within the current lineup for Houpriyusu have done modelling work of some form. Though the group is small, all members are hard working, and aspire to become full-fledged members of Houkago Princess so that they can have their single debut, and feature in up-coming releases. For now, though, they are setting their sights on becoming Princesses, and proving that their hard work and dedication will amount to that debut that is within their reach! Ready to captivate and bespell you all, these are the girls who will work hard for your love and support as they ascend towards the throne, slowly but surely, until they attain their tiaras and become the Princesses we know they can become! When the clock strikes 4pm, will you wave your magic wand and deliver unto them all a fairy tale ending only they have longed for? 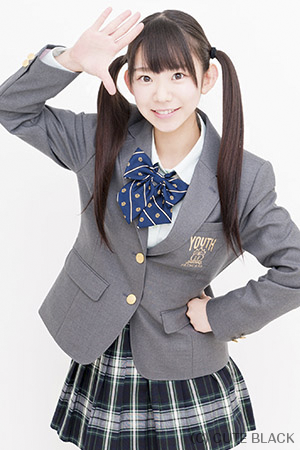 An original 5th generation member, Nagasawa Marina debuted as an Apprentice within Houkago Princess in late 2013, however, she took her leave in May of 2014 due to illness. In August 2014, however, when Marina still had not returned to her duties, it was announced that she had been dismissed because of her neglect in letting staff know that she was well and able to return to her activities. Despite her dismissal, however, Marina revealed in her apology post that she would work hard to earn back the trust of the Houkago Princess staff, and aimed to re-audition and begin a clean slate. In October of the same year, Marina began working at COCONUTS LOUNGE TOKYO as a waitress, and also a Gravure Idol. On February 18th, 2015, Marina returned to Houkago Princess as an Apprentice, as well as the first member to join the new little sister unit, HouPri Youth. In March, she announced her first solo Gravure DVD, and has since been active in activities within HouPri Youth, and as a Gravure Idol. Through the contest Miss iD 2016 - of which she was a finalist - Marina has become well known around Japan, as well as in Russia, for her gravure work, and is now considered one of the more popular members in both HouPri Youth and Houkago Princess. Marichu is one the reasons why I actually like Gravure, now. I like her work, even if it can look a little risque at times, and I do find her really cute and fun, however, she isn't my favourite member within HouPri Youth. Honestly, she was never a favourite, even when she was an original 5th gen Cadet. I found her head to be too small, truth be told, and she just didn't stand out. Now, she does, and I'm glad; she's found her calling, and she does well as a Gravure Idol and a member of HouPri Youth. She fits in nicely, and has truly grown as a person and a performer. I just really wish that staff would promote her soon, because she's too good for them to let go! Originally a Race Queen for Team JLOC, Sasara made her debut in the entertainment world back in 2011 and did a variety of modelling, including Gravure and cosplay. From April 4th 2015, however, she has been an active member of HouPri Youth, and has released 10 digital photo collections and released her own solo DVD. Currently, she is the oldest member within HouPri Youth. Sasara is fluent in English, and loves all things Disney. I do like Sasara. She has an elegant beauty about her that is very desirable, and she balances out the cuteness of the other members well. With her lady-like charm as well as her passion for Disney, I think she brings a refreshing vibe to Houkago Princess. I honestly hope she debuts soon, much like Marina, because whilst I'm unsure of her singing talent right now, I know she's a dedicated and hard working girl who deserves to become a Princess, and wear that crown! Also, it would be cool to see her in more costumes and see how she performs in Music Videos! So, yes, Staff-san... debut Sasara, now! Active within the Entertainment Industry since 2011, Mayumi made her debut through TV appearances, as well as in Gravure. From 2012 until 2015, she released five solo gravure DVD's. Before joining HouPri Youth, she was an active worker at COCONUTS STAGE, Shibuya from July 2015, and then joined the Idol group in September that same year. On March 20th 2016, Mayumi was the first Apprentice to be promoted to Cadet status, which gives her seniority over both Sasara and Marina, despite all three being Cadets. Mayumi can speak English, and claims it is her favourite subject. She has also practiced Piano for 10 years, and prefers novels over manga books. Of the current Cadets, Mayumin is my favourite. I find her charming and cute, sweet and lovely. She's adorable to look at, and her twitter is great to follow! She seems like a really enthusiastic and positive member, too, which is great to see in any Idol, and yes, I really want Mayumin to become a Regular member, because I wholeheartedly believe she deserves it, and also because she wants it, too! She is an adorable girl, and with Mayuka graduating, a new Pink member is needed! So, Staff-san... promote the charming and sweet Mayumin, and you won't regret it! Seriously, if she is promoted soon, it will truly make my year! The youngest member of HouPri Youth, Nina came into the Entertainment world in 2015, where she entered the Idol contest Miss iD 2016 in order to pursue a career as an Idol. Making it to the finals, Nina was then chosen to join HouPri Youth with the chance of being promoted to Cadet status, and possibly to that of a Regular member. From her time in Miss iD 2016, one of the judges noted how he liked her modelling images. Recently in July 2016, Nina travelled to Guam alongside Nagasawa Marina, and did a small gravure shoot, which will possibly be published in a magazine. Nina likes Uverworld and Momoiro Clover Z, and joined Miss iD 2016 with the intention of fulfilling her dream of becoming a singer and an Idol. She is the first member in HouPri Youth to be born in the year 2000. As Nina is a high school student, she is not always present in live performances. Nina is my favourite member of HouPri Youth, period. I find her so cute and darling whenever I visit her twitter, that I can't help but love her! Nina is also very refreshing to look at, so whenever I see her post a new picture, I feel as if I'm looking at pure innocence. She's a doll, and she feels fitting for Houkago Princess. She seems to get along really with Marichu, too, as well as the other senior members in the Regular lineup. So far, it feels like she gets along with everyone, and they all like her just as much as she likes others! I love Nina, and I do want her to debut soon, because this refreshing Idol must not be left behind! Nope nope, no way! The fourth member to be announced Akane made her debut on April 11th 2015 and performed regularly with HouPri Youth, However, on June 15th that year, Akane injured her foot and could not perform, though she did MC the groups performances. Because of her absence, as well as her injury, it was discussed whether she should continue her activities as an Idol or not. Because she was unsure as to whether or not she would continue being an Idol, the decision was made that she would withdraw, and so she left the group July 6th, 2015. It is currently unknown if she is still within the Entertainment Industry or not. The second member to join HouPri Youth, Airi had originally joined the entertainment industry as a model for online publications from the years 2013 until 2015. Once she joined HouPri Youth, she began her activities in singing and performing, as well as modelling. Initially intending to leave HouPri Youth alongside Marina and Sasara to begin a new unit in early 2016, Airi then changed her mind after realising she was not pursuing her Idol career as enthusiastically as she had a year before. So, she made the decision to graduate from both HouPri Youth and the Entertainment Industry to begin a normal life again. Her graduation was held on March 20th 2016, alongside Izumi Sakura. My original favourite of the HouPri Youth members. I'm still sad about her graduation, actually, however I know that Idols come and go, and for Avery-chan, it happened to be her time to graduate... ;; waaah! 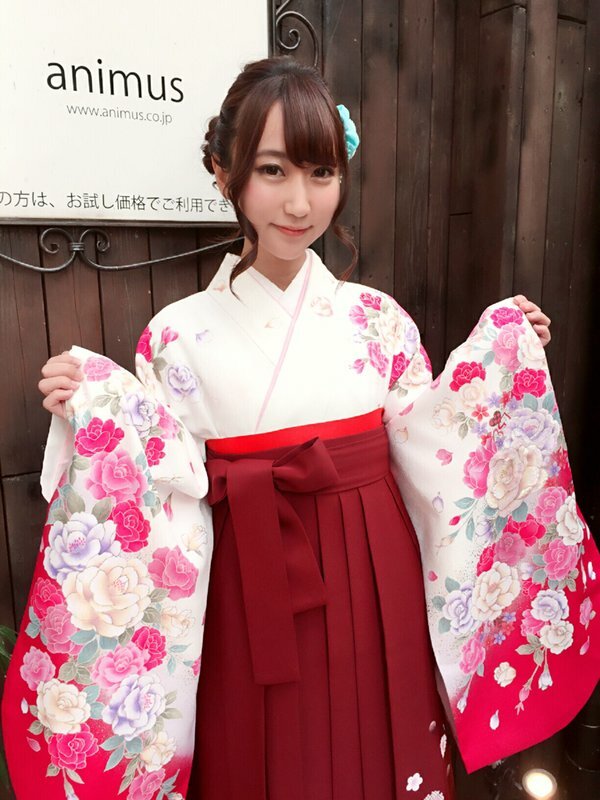 Joining Houkago Princess in June 2015, Sakura began activities within the group quickly, however in October of the same year, she injured her foot and had to suspend performing with the group, though she attended events regularly. By December 2015, it was revealed that her doctor had instructed her not to perform, as it would worsen her condition. During her time off from HouPri Youth, Sakura pursued Gravure activities, and eventually announced her Graduation from the group in order to continue working towards a solo career in Gravure. She graduated on March 20th 2016, alongside Kamiya Airi. She debuted her first and only solo DVD on April 22nd, 2016. As of May-June 2016, Izumi Sakura's Twitter account became inactive, indicating she has left the Industry altogether. Originally a cosplay model, Yuyu joined HouPri Youth on March 29th, 2016, however left after only one month due to issues with her back that would halt her from performing. Though she withdrew from the group, Yuyu was still affiliated under the Cute black umbrella as a model until July of 2016. Currently, Yuyu is a semi-finalist in the Miss iD 2017 competition, an Idol and Tarento voting contest that Nagasawa Marina had previously ran in. The group that is HouPri Youth has a small history, but much like Houkago Princess, the girls have had their fair share of members who have come and gone, though there is no denying that the amount of withdrawals and graduations is a lot less. It's only the beginning for HouPri Youth, however, and their future is sure to see more ups and downs in the long-run. Right now, however, the group has done well to produce models and create dedicated Idols who hope to debut in Houkago Princess. The four current members of the unit are all hard working and in their own unique ways, and they all have something to offer both their small unit, and Houkago Princess in enthusiasm, charisma and more. They are a good bunch of girls, and hopefully we will see them all debut into the Regular lineup sooner rather than later, because they do deserve it. And now that these member introductions for both Houkago Princess and HouPri Youth have been completed, please await the next posts where I list 10 of Houkago Princesses songs new and old Fans should listen to, and the HouPri Music Videos that are a Must-See for anyone getting into the group! It's going to be a lot of fun, so sit back and enjoy, and await the HouPri Happiness I will deliver unto you all very soon!